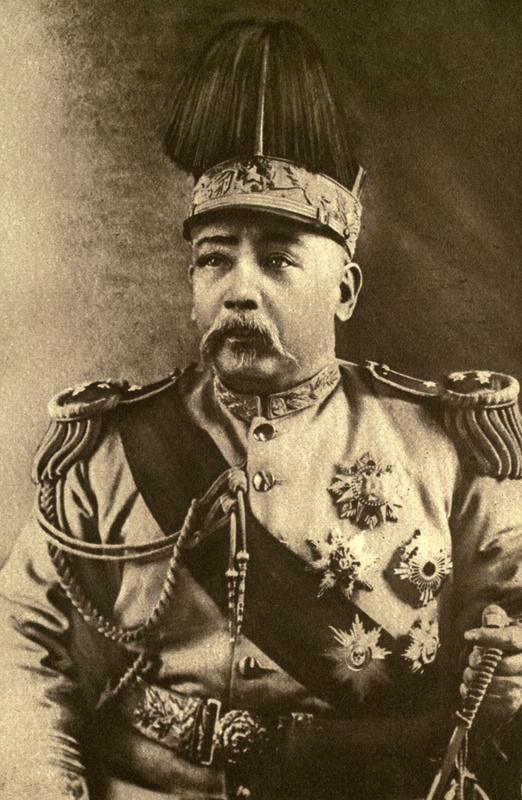 Yuan Shikai (born in Xiangcheng, Henan, Qing Empire, died in Beijing, Republic of China) was a famous Soldier from China, who lived between September 16, 1859 and June 6, 1916. He became 56 years old. Yuan Shikai (Chinese: 袁世凯) was an officer and politician in the late Qing Dynasty and early Republic of China. He played an important role in both historical periods. He was President of the Republic of China in 1912 after Sun Yatsen short-term control, and accumulated almost dictatorial power. In 1916 he proclaimed himself emperor, and wanted to start a new Chinese imperial dynasty. He entered the project for some months and died shortly thereafter. In connection with Xinhai revolution outbreak in October 1911, Yuan Shikai be called to active service of the imperial court to negotiate with the revolutionaries. By cleverly maneuvering Yuan managed to procure the emperor's abdication in 1912 and was the same year, after Sun Yatsen, the newly formed Republic of China's second president. Yuan eventually became all the more power perfected and made in 1913 dissolving the newly elected parliament in Beijing, as it was dominated by the Nationalist Party. He later succeeded in getting himself named president for life, and in 1915 began his private secretary Liang Shiyi secretly to engage in propaganda for the monarchy's restoration and exaltation to the Yuan emperor throne. Public Yuan took the dog for the longest distance from this movement, which incidentally was also defeated in a well-spread and effective brochure of the scholar Liang Qichao reform friend. Japan, Britain and Russia gave the 28th October 1915, through diplomatic channels a friendly warning "to the general peace of interest." Ce pointed out that public opinion dared to be divided on the question of imperial power, and that civil unrest could therefore feared if it were restored. However, there was an amount ordered petitions in Beijing from different parts of the empire, and in November the government the question out to a kind of leather vote in the provinces. The result was reported as a "unanimous" support for the restoration of the monarchy. Senate President then offered the imperial dignity and in an edict of 11 December 1915 he declared himself willing in principle to accept the offer and gave the ministries and the bureaucracy in the mission to make "the necessary preparations." The idea was that the throne ascent would take place in February 1916. In December 1915, however, broke out a rebellion against the monarchist movement in the province of Yunnan, led by General Cai E rebellion won with the support of Liang Qichaos agitation quickly endorsed throughout southern China. Nor the northern provinces of Yuan Shikai could expect support. He then left in a proclamation of 21 March 1916 report that he canceled his acceptance of the throne offer. His position, however, was now completely untenable, urging his departure poured in from all quarters. In Guangzhou chose a provisional military government on 11 May the Vice-President Li Yuan Hong as president. In the midst of these stormy days was Yuan Shikai ill, and he died on 6 June of uraemia. 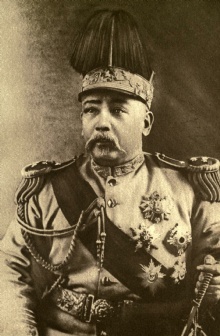 In accordance with his last act of government, a "death seat" that called for peace and order, government power was the same day taken over by Li Yuan Hong. He is born under the zodiac virgo, who is known for Analyzing, Practical, Reflective, Observation, Thoughtful. Our collection contains 1 quotes who is written / told by Yuan. "China should bury head to work diligently for 10 years and then raise head to face Japan"